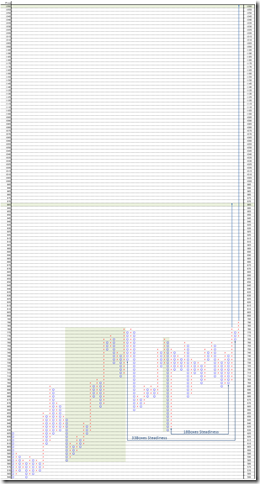 NYMEX Palladium Future daily data; the market price went over triple top and the P&F target price is 1260point. Today, we analyze NYMEX Palladium Future daily data. This is strong bullish signal. 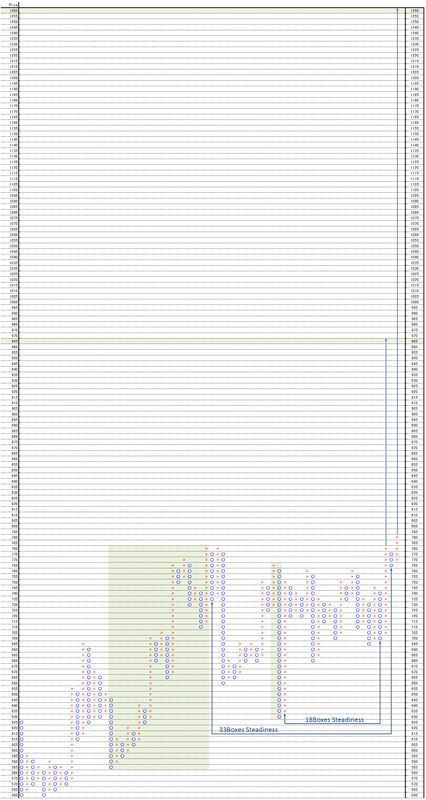 This is 5 point change and 3 box reversal close price’s Point and Figure chart. The market price breaks out from 33 boxes steadiness. The target price is 1260 point calculated by horizontal method. There is a resistance point at 965 point. Mr. Druckenmiller Says “It’s a poisonous cocktail when you look at commodities going forward” and we verify it. Part 2. 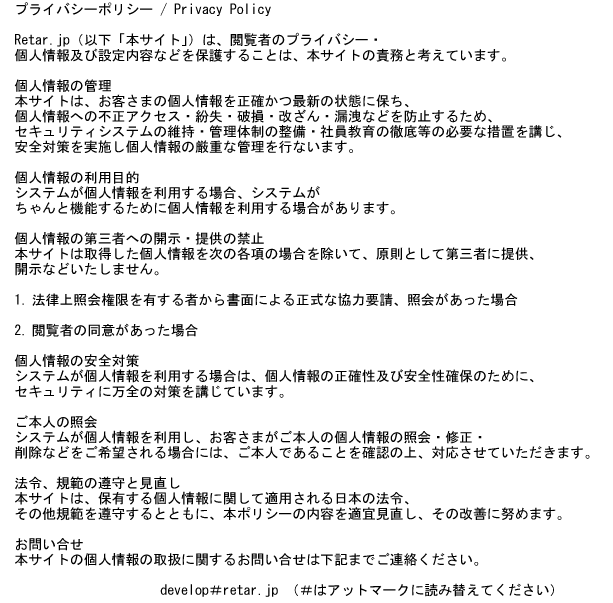 Last week NIKKEI Veritas article “The unreliable account of a hedge fund” (P21) was very worrisome. Mr. Druckenmiller Says “It’s a poisonous cocktail when you look at commodities going forward”. Mr. Druckenmiller is legendary investor. When what such a more famous one said is worrisome, we build up our original verify model. But it takes much time and now we can provide it. 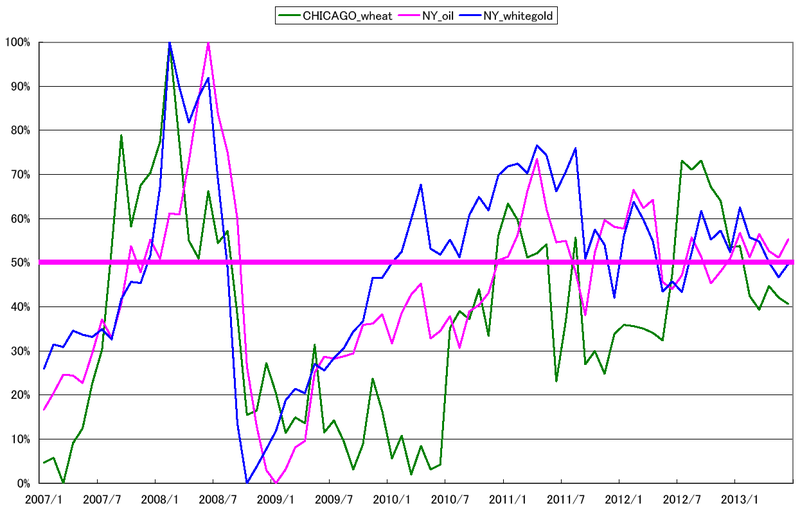 Today, we analyze the typical commodity brand of U.S. market using the monthly data. These are monthly close data chart. It is important that where do we use the chart basis. We used 01/2007 as starting basis. Following last day, we verify the market bland taking the highest before Lehman shock. 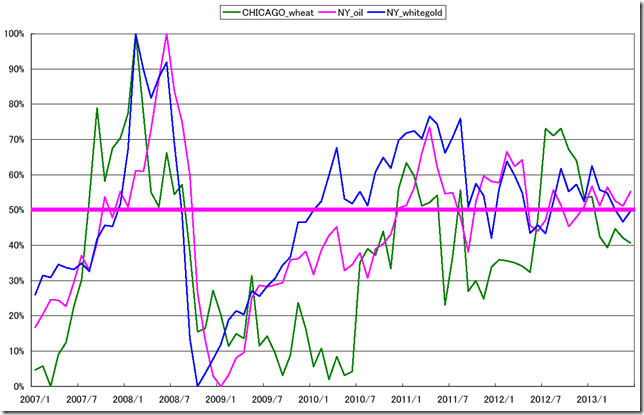 It is the Chicago wheat, New York crude oil, and New York platinum that correspond. We use “Half-the-price recovery is all the value recovery” verifying Mr. Druckenmiller. These markets are steadiness and may go higher or lower in future. As for every brand, the new high has taken and not cut the low price of the Lehman shock at all. If the market price will cut the lowest price after Lehman shock, we will start to think about “poisonous cocktail” and we are bullish until then.